This fast and easy One Pan Rosemary Chicken & Asparagus Dinner is low carb, Keto-friendly and bursting with flavour! This is not a chicken dish for those that don’t love tangy, fresh flavours. The lemon in this really makes it zippy and fresh! 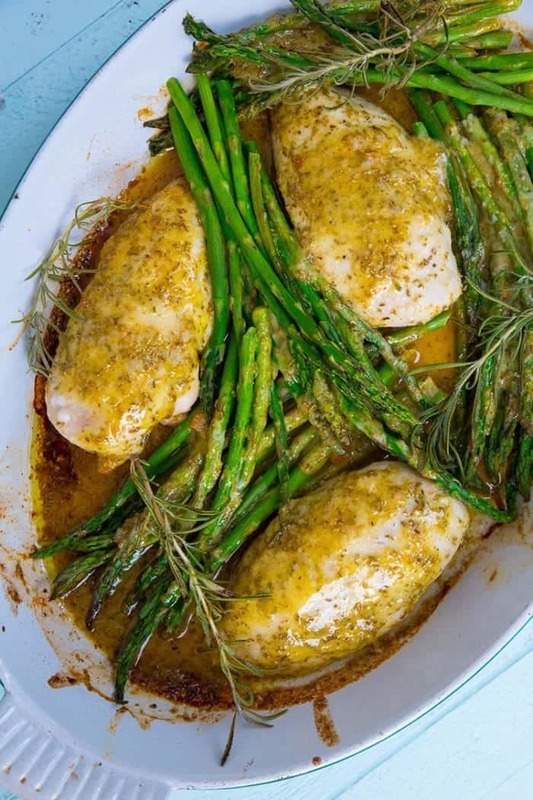 Rosemary chicken is a classic taste pairing, but to make it lighter tasting in the spring and summer months ( or whenever asparagus is actually affordable) using lemon and garlic to boost the flavour is key to making this a great chicken dish. Not only that, this is low carb and can be made high fat for Keto diets if needed. The net carbs ring in at 4 grams and there is a lot of healthy fats from using olive oil in the recipe. How do I choose good asparagus? Look for firm, bright green stalks. The size doesn’t really matter, but I personally prefer asparagus that is medium thickness. The tips should be firm and a bright green or purple hue. This is where they will start to go mushy first! The stalks should not bend, they should be snappy and brittle. Bending means they are starting to go. Look for clean, non-blemished stalks. Take a peek at the photos here. I buy lemon flavoured olive oil and it is going to be a staple in your cupboard. Try it with ricotta cheese and bread. You will never eat ricotta plain again, so you don’t have to worry that you won’t use it up. I prefer using a pan with sides to make sure all the sauce stays around the chicken but a sheet pan is great. The asparagus will over cook if you put it in at the start, so make sure to add it later. 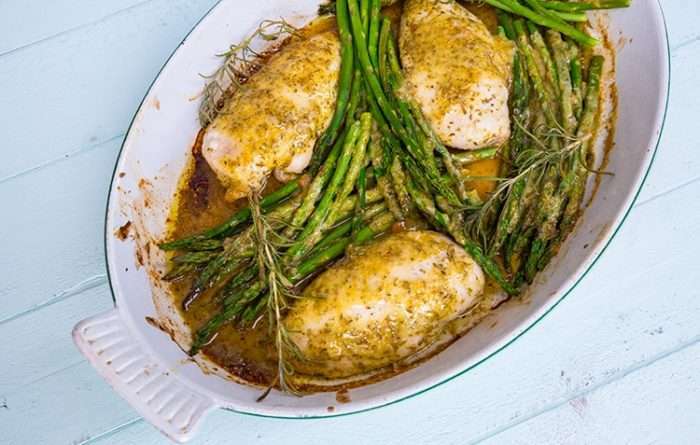 This One Pan Rosemary Chicken & Asparagus Dinner is sure to be a hit with the family! 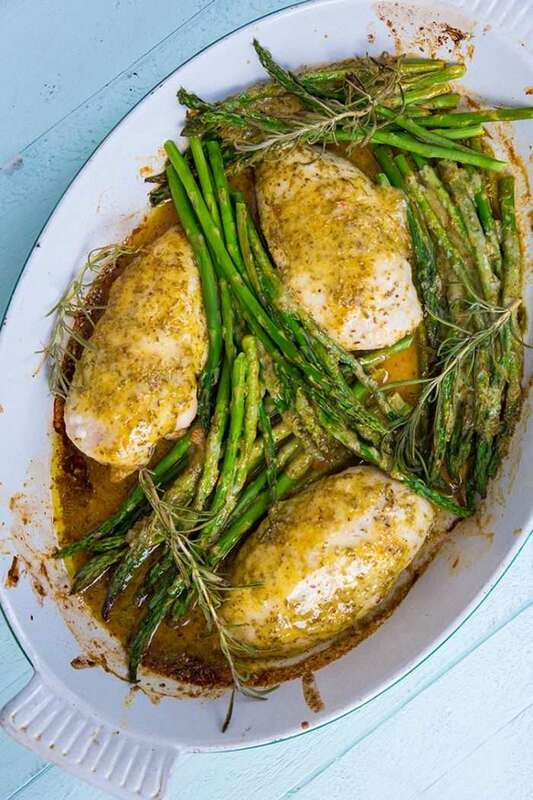 The fresh tang of lemon paired with rosemary and garlic is perfect for both the chicken AND the asparagus! 1/2 cup olive oil I used lemon flavoured for a SUPER lemon boost! Combine the first five ingredients in a food processor - or in a container that you can use a hand blender in- and process until creamy and smooth. Place the chicken in a container and using 1/3 of the sauce, baste. Cover the chicken and the remaining sauce and refrigerate for a few hours. 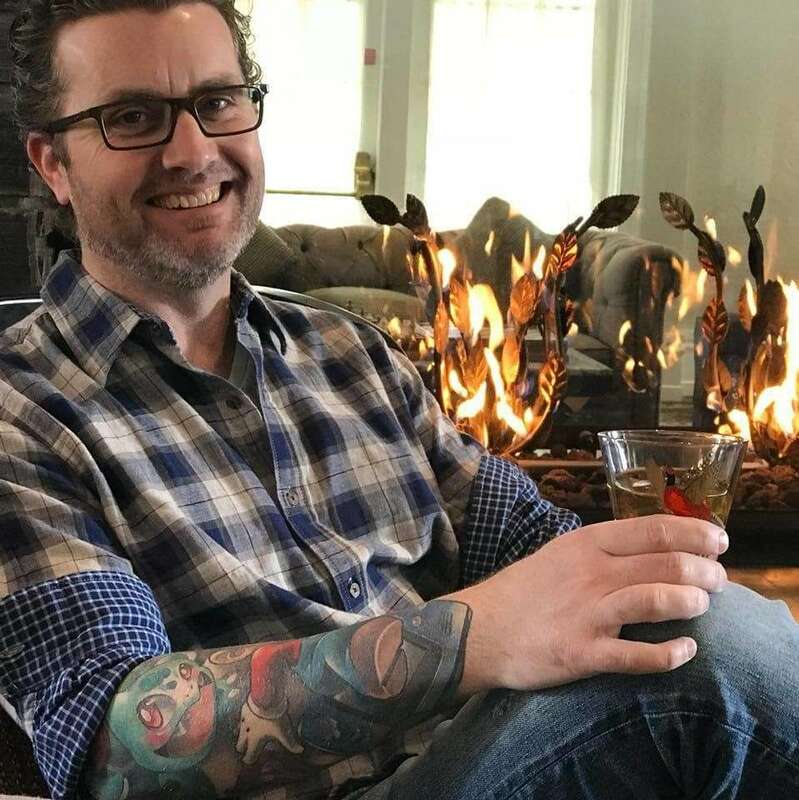 To cook, preheat your oven to 350 °F. Remove the chicken from the fridge and place on a large baking sheet or large pan. Bake for 20 minutes, then add the asparagus to the pan. Take the remaining sauce and re-baste the chicken and baste the asparagus as well. Cook until the chicken reaches 165 °F. Loved this recipe! Super easy and yummy! I made it exactly as suggested. Have a lot of Rosemary growing in my garden so I loved being able to use some of that. I’ll make it again and again.